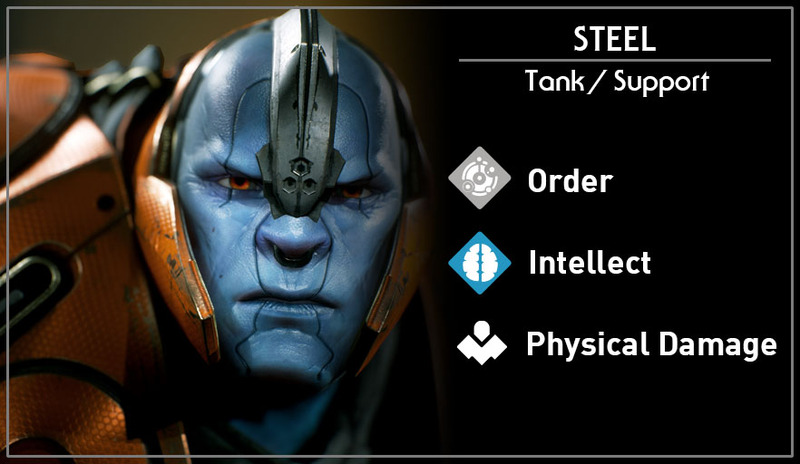 Steel is a melee tank/initiator with lots of CC skills and a big health pool. 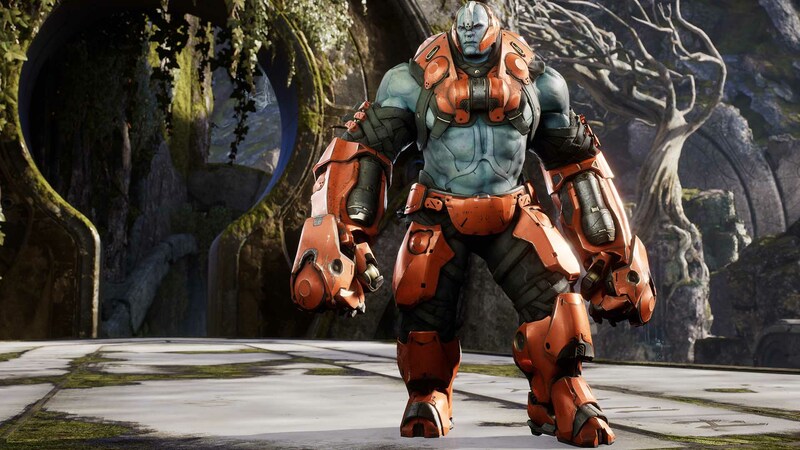 Steel is great at timing ganks and all of his skills have either a stun or slowing effect, which allows your team to close the gap between enemies easily. Steel shines when initiating team fights, his ultimate is a gap closer which stuns and knocks enemies up into the air. While Steel is good in team fights, he sometimes has a hard time dealing with 1-1 situations or laning against ranged heroes because of his low mana pool and range. Steel has 15% reduced crowd control duration. Steels basic attack with his fists. Steel puts up his shield increasing his physical and energy armor therefore reducing incoming damage. Steel dashes forward with his shield knocking back any enemy units hit. Steel throws a wall at a target location. Any ally passing through it will gain a shield while enemies passing through it will be slowed. Steel leaps into the air and slamming his shield into the ground on a target location. Enemies hit are stunned for a few moments.